Create a stylish, comfy and inviting dining area with the Nala Dark Oak with Mellow Bench and Chair Dining Set. 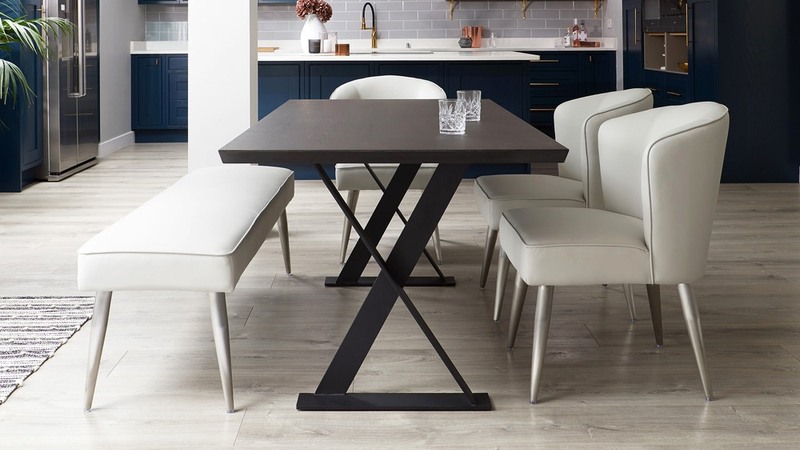 The sleek combination of dark, smoked oak with smooth faux leather chairs and stylish brushed stainless-steel legs will create a stylish dining area to be enjoyed by everyone. 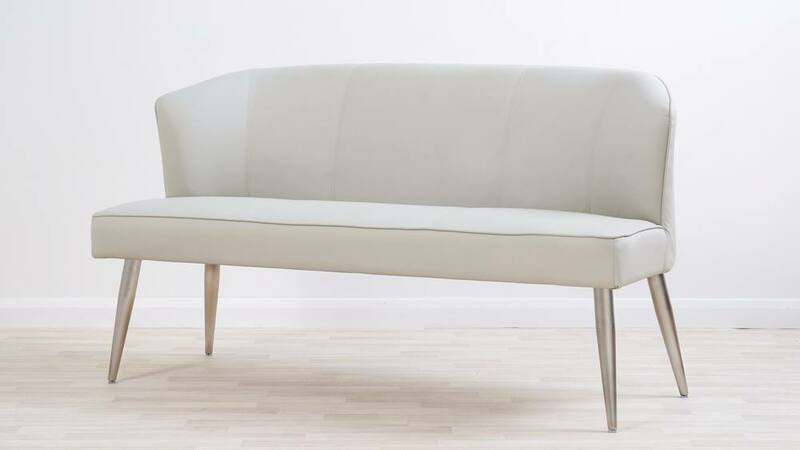 The 3 seater bench is ideal for cosy dining and the sumptuous, generous Mellow Chairs are perfect for sinking back into for long leisurely dinners. 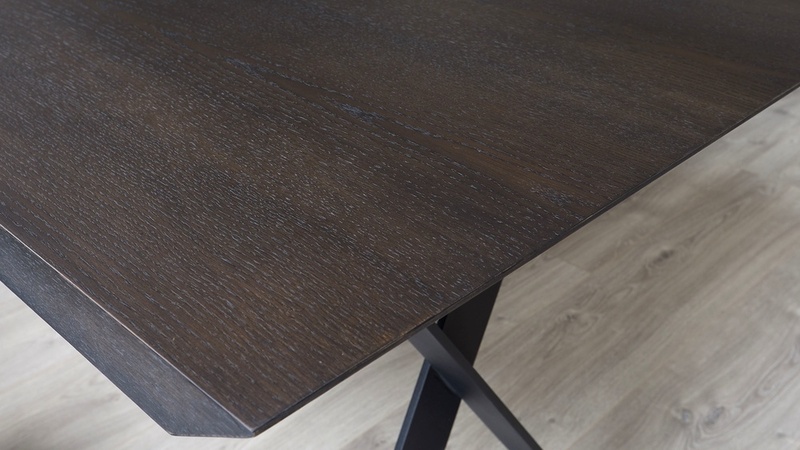 The most recognisable feature of the Nala oak table is the crossed ribbon leg design. 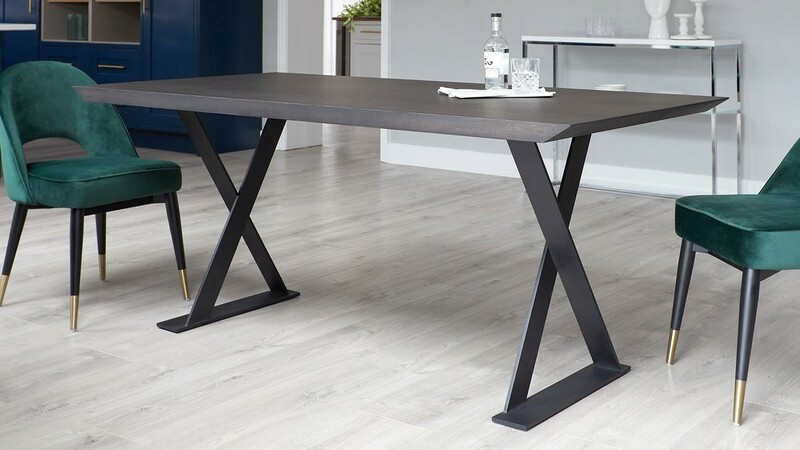 Inspired by a traditional trestle table, the Nala’s angled and crossed legs give the table a constantly changing appearance when viewed from various positions around your dining area. 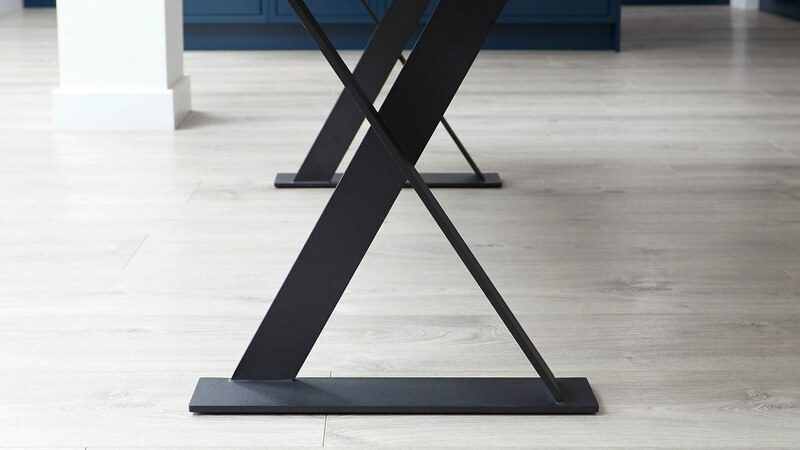 The Nala’s legs have a matt black finish, giving the table a contemporary and sleek look that makes the table easy to style with home accessories, while made from tough, durable iron meaning the table is incredibly sturdy and perfect for everyday use. 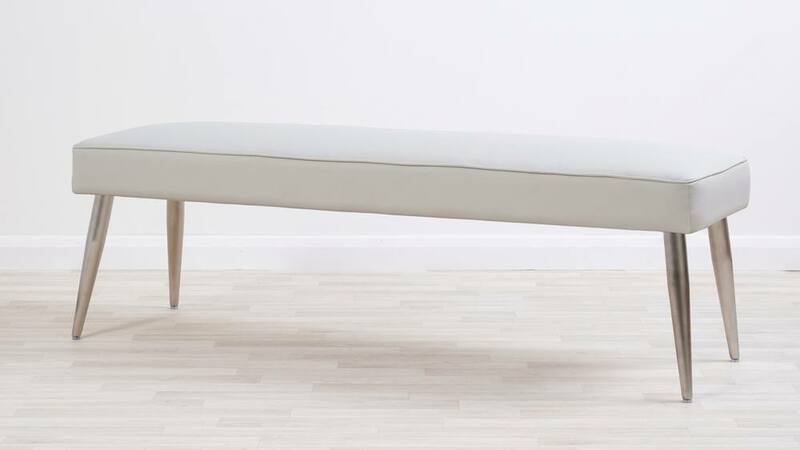 The Mellow backless bench is a stylish and comfortable seating option. The great thing about a dining bench is that seating feels super cosy and comfortable without looking too overcrowded. We’ve teamed this dining set with a backless bench to give the impression of a more 'open' dining space. 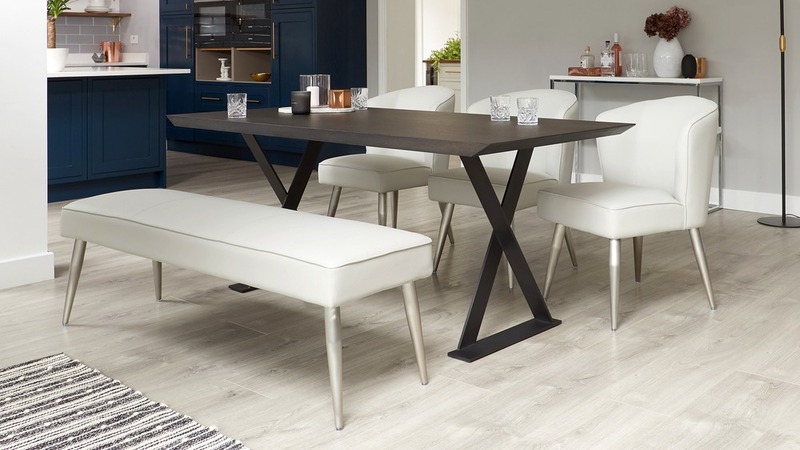 A backless bench will give your dining space a more spacious look that's not interrupted by the seat backs. 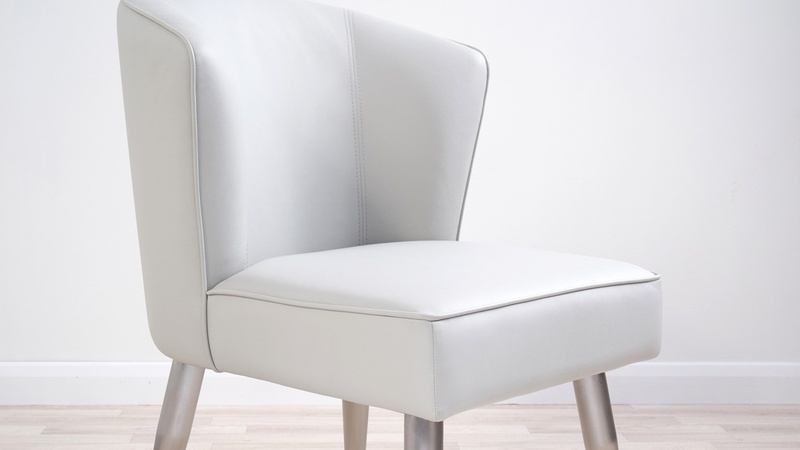 This is ideal for open plan rooms or where space is limited. 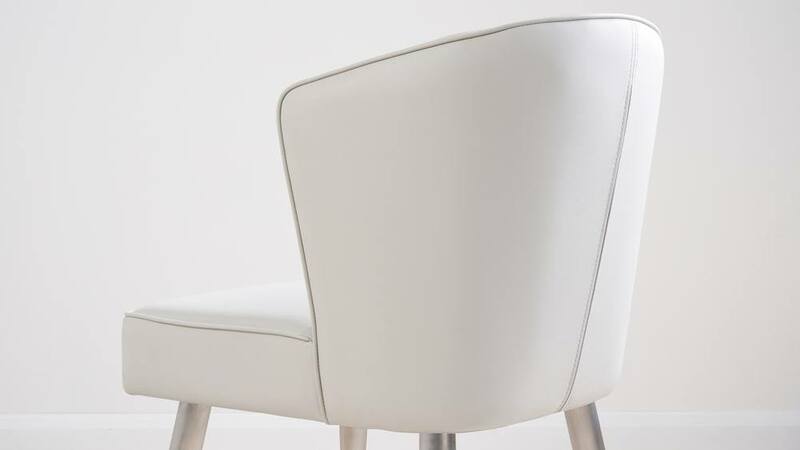 The Mellow bench and chairs have a medium-soft comfort rating thanks to the no sag zig-zag springs and fibre wrapping. No sag springs mean exactly that - they'll allow the seats to retain its original, smooth shape when not in use, and offers plenty of comfort and support when seated. 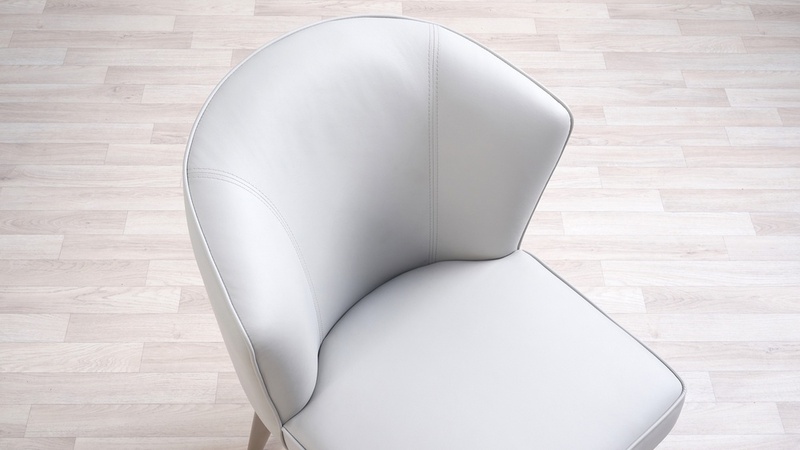 The ends of the Nala table have a chamfered edge. 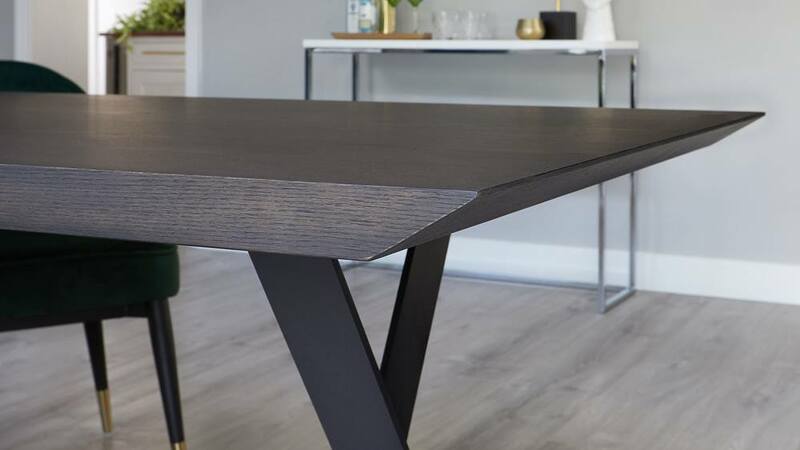 This bevelled edge design gives the Nala table a modern, urban look. 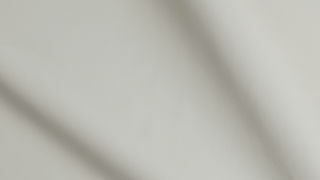 The Nala wooden and iron dining table can seat between 6 to 8 people. 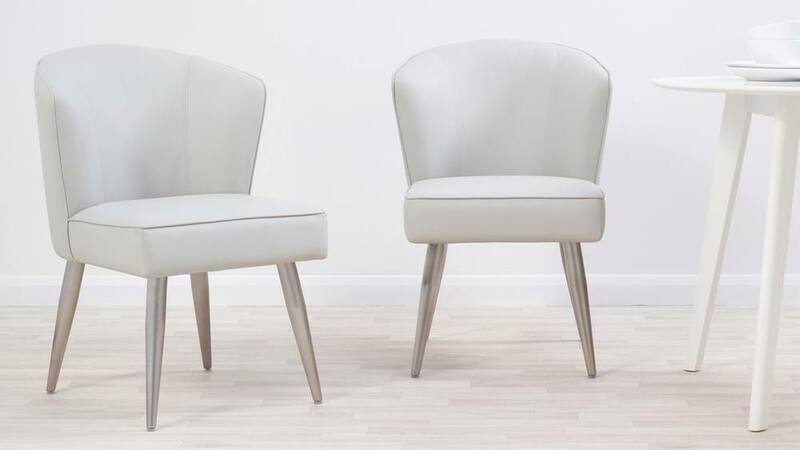 This set includes 2 chairs, however, you could add an extra couple of chairs if you needed to accommodate more guests. 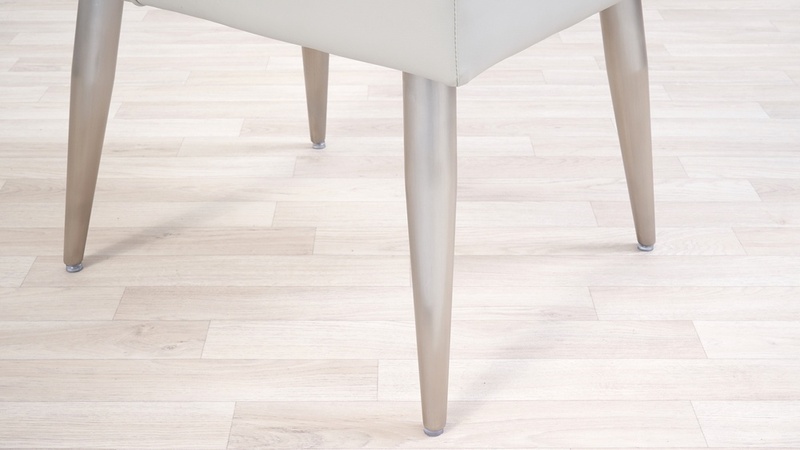 The legs of the Mellow bench and chair are slim and tapered, with a stainless steel finish. Stainless steel is modern and easy to clean but it's less shiny than chrome and adds a subtle edge to this contemporary dining set. 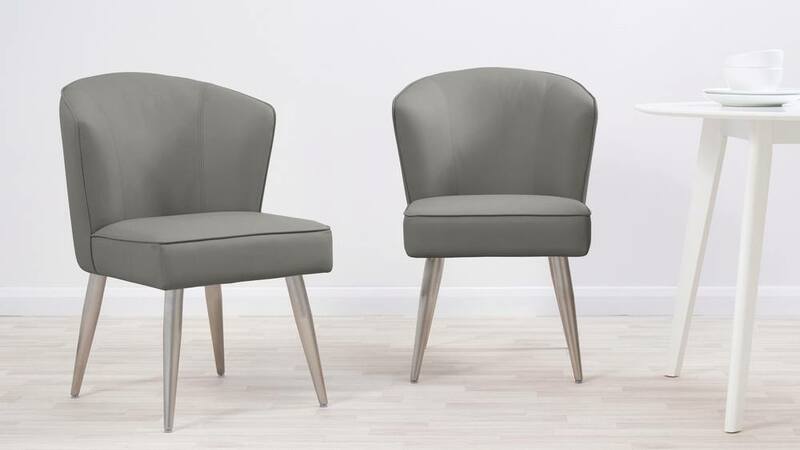 The Mellow chairs and bench are part of the Mellow range which is also available in a Petrol Grey Velvet and Blush Pink Velvet.